I love blueberry muffins. They are the all pleasing breakfast treat, always welcome and always yummy. Recipes vary here and there but overall they end up with the same basic result. This recipe is the recipe you’ve been looking for. The recipe I always wanted but never found. It’s the kind of muffin you’d want to make if you owned a bakery because it’s better than JUST a blueberry muffin. It’s a blueberry muffin with swirls of homemade blueberry jam and a lemon sugar crust to top. It’s simple yet grand, soft yet crunchy. It may seem like a lot more work than your typical muffin recipe but really it’s just an extra 10 minutes. And I will let you in on the modifications to make it a healthier option as well—using some applesauce, splenda, and wheat flour. 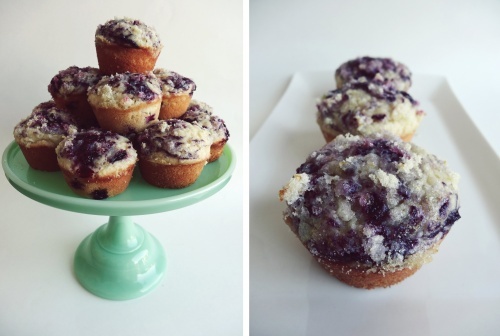 It’s now the only blueberry muffin recipe I use, and I get rave reviews every time. And to really impress or for a great gift, make them jumbo size. I saw this and knew we would love it. The idea of this recipe is simple and brilliant. It’s everything lovable in a simple Italian meal, all in one beautiful presentation. Pasta, sauce, cheese, and delicious garlic bread. 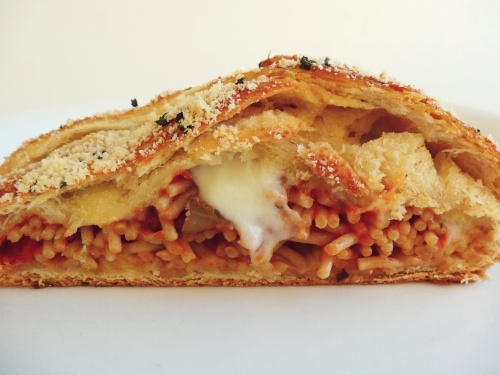 One of our favorite recipes is also a crescent roll style braid, and I love the variability in these types of meals because they are easy to change up to fit different tastes or what you have on hand. This was easy and delicious, I made it without any meat to save some time, but some sausage or ground beef/turkey would add something extra as well.